Welcome to Google Apps at Western Oregon University. 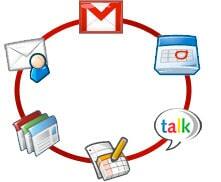 Over the next few months, WOU will be converting our email and calendaring system to Google Apps for Education. This will give us more reliability, fewer headaches, and many, many more features. On top of that, it costs far less than we’re currently spending. We’ll be providing a lot more information as the transition goes on, but this page will give you the basics. Changing to Google Apps means that your email, calendar, and contacts will be stored on Google’s servers and accessed through their systems. This means that instead of our Sun Convergence webmail system, you can use Gmail. If you use Outlook, Thunderbird, or some other desktop email program, you can still use it, and you will still get Gmail’s spam filter and over seven gigabytes of storage space. If you already use more storage than that, don’t worry; we can negotiate with Google to give more space to those who need it. However much saved email you have, we’ll provide a way for you to move it onto to Gmail. Your email address will stay the same, and the WOU spam and virus filter will still work on your account, in addition to Google’s. Instead of using the calendar features in Convergence, you can use Google Calendars. Outlook and Thunderbird will still work for calendaring as well. Google Calendar makes it easy to share calendars with other Google Apps users, with all of WOU, or even with the public if you want. You can have as many calendars as you want, and the integrated Google Tasks app gives you a to-do list as well. If you add the street address to an event, anyone invited can get a map and directions just by clicking a link. For more information on the Google Apps check out some Tips and Tricks as well as some FAQ’s.